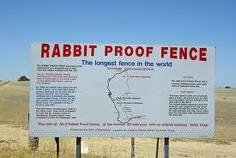 Many rural Australians have a dread of rabbits. If they see one or two on their property they have visions of hoards of rabbits teeming over the land, eating all available vegetation, undermining trees and bushes, and destroying everything in sight. Indeed rabbits have been a major problem in many agricultural areas in the past and efforts to eradicate them have included the introduction of the viruses Myxomatosis in 1950 and calicivirus since 1995. Although calicivirus has been successful in significantly reducing rabbit numbers, some survive and landholders are now ever vigilant of rabbits for fear they may again reach plague proportions. Their efforts in this regard are aided in NSW by the Livestock Health and Pest Authorities (LHPA), which uses calicivirus, poisons such as 1080 and pindone, and habitat destruction in conjunction with councils and landholders in areas where it deems rabbits are too numerous. 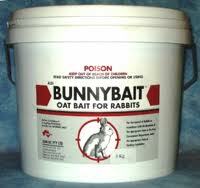 In Australia pindone is normally mixed with either oats or carrots for rabbit-baiting. Both types can be purchased in pre-mixed, ready-to-use products. Pindone concentrate is also available but it is “supplied only to Government agencies and licensed contractors. The concentrate is used by these groups to freshly prepare oat or chopped carrot bait on site for larger programmes” (Animal Control Technologies 2010a). Recent scientific research indicates that non-native species are sometimes beneficial in the reestablishment of ecosystems that have been degraded by human activity. Most recently the LHPA has been active in coastal areas of southern NSW, promoting the use of pindone to kill rabbits and training local landholders to use pindone-baits. 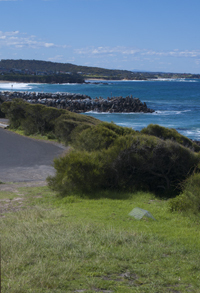 The far south coast of NSW is a rural area supporting a variety of agricultural production as well as many small non-productive landholdings. Many areas have an intimate mixture of open fields, bush blocks, lakes, swampy areas and National Parks. This coastal zone includes a range of fauna habitats and a wide variety of native species co-existing in close proximity. 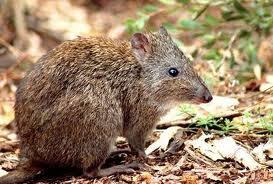 There is a surprising number of threatened species that are either known or predicted to be in the area, including several species of owl (including the Barking Owl), the Spotted-tailed Quoll, the Little Eagle, the Southern Brown Bandicoot, and the Long-nosed Potoroo (pictured). 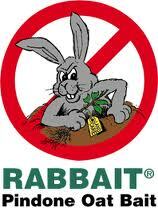 The Eurobodalla Shire Council in coordination with the LHPA ran a program of pindone-baiting of rabbits on council land in the Dalmeny, Narooma and Mystery Bay areas at the end of 2010. The Council claimed this was in response to complaints by residents about rabbits digging in their gardens and eating their plants. The council did not undertake any risk assessment of its own to native wildlife in the areas but instead relied on the advice of the Livestock Health and Pest Authorities (LHPA).